Doctor Who: SERIES 9 - DETAILS FOR ALL EPISODES | Warped Factor - Words in the Key of Geek. 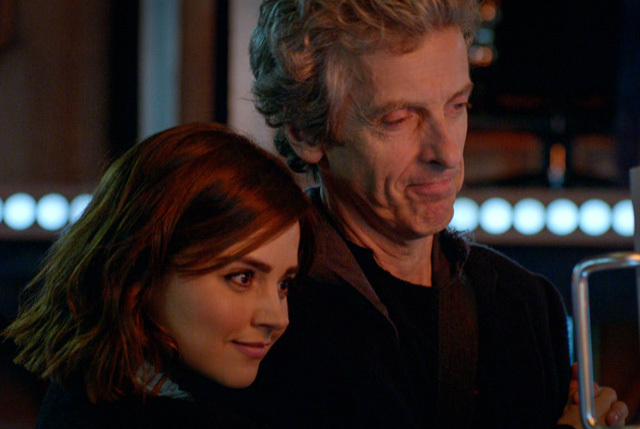 Steven Moffat offers previews for all 12 episodes of Doctor Who series 9. "This is the opening two-parter. It features lots of Daleks and this time we mean it! Clara receives a mysterious summons and has to team up with Missy to search for the Doctor in a very, very old place." "This two-parter is written by Toby Whithouse and features an underwater base plagued by creeping ghosts and an island that is about to be submerged in water. But who or what is doing this and how can the Doctor stop it? It’s very scary, atmospheric and claustrophobic, much like some classic episodes." "[These] two are exceptional! Doctor Who meets Game of Thrones! Well, only because Maisie Williams is in them. The first part features Vikings fighting mercenary robots (and a dragon!) and the second one sees a group of Highwaymen dealing with a Norse god." "This one is written by Peter Harness and Day of the Doctor acted as a prologue to it. In it, the Zygons made peace with the Humans, but not every Zygon decided it was okay so they’ve been raising an army, silently and now they’re rising against UNIT! We’ve been planning this forever and Osgood is in it! But how is that possible you’d ask? Missy killed her! Who knows? Well, we know." "This is a very unique Doctor Who story from Mark Gatiss. It wasn’t possible to do such an episode ten years ago, when the show came back and Mark has been rewriting it over and over again to make it perfect. It’s a beautiful story, very eerie and special, I think it’s going to be an instant classic." "An episode which leapt out as “why haven’t we done this already? This is so Doctor Who we should be doing this immediately”. And when Sarah Dollard walked in with the finalised script, it was even better! Really, this is going to be a fan-favorite, everyone will want to rewatch it." "A challenge. I won’t say anything else because it would be too spoilery, but when you’ll watch it, you’re going to ask how exactly the Doctor and Clara are going to pull it off." Doctor Who returns September 19th.